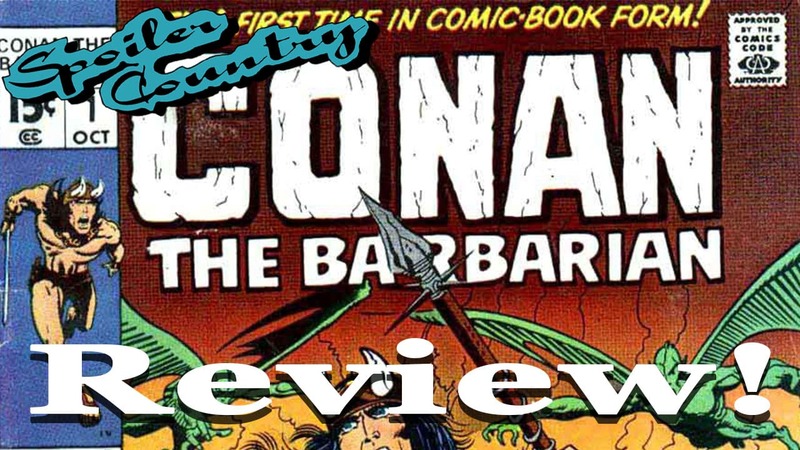 The coming of Conan is classic tale of sword and sorcery. A fun read that I believe Robert E. Howard would have liked. This first issue is a retelling of the classic Howard story “the Coming of Conan the Cimmerian”. If you are a fan of sword and sorcery or the fantastical then this is a book for you. It’s a fun read that takes you through the violent tales of a barbarian that lives by the sword. Conan is a thief, a pirate, a smuggler, and a general of armies but you cannot help but to cheer him on as he stubbornly imposes his will on his environment. A Conan story is about getting lost in a tale that is filled with adventure and this 1st issue does not disappoint. Read about Conan’s misadventure against a shaman, demons, and aggressive barbarians. I really liked this book and highly recommend picking it up as a good read but also for your collection of desirable books. I’ve seen it as low as $60 eBay for a VG/F condition. If you’ve read this title tell me what you think? How does it compare to Dark Horses current Conan run? ← Rose City Comic Con Day One!